Like other bandwagoners, I became a fan of minimalist shoes after reading Born to Run. I bought my first pair and transitioned instantly, which gave me sore muscles in my shins and feet like never before. Of course, wearing the shoes strengthened those atrophied muscles and changed my gait a bit. But I’m not here to convert you. 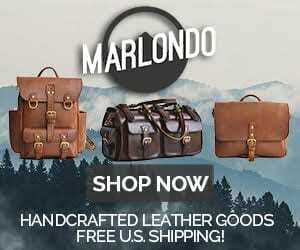 This review’s mostly for people who are already looking for a leather zero-drop shoe (shoes without heels). If that’s you, you’re in for a real treat, because the Lems Nine2Five Coffee&cream are my favorite. The Lems team is just 5 employees. That amazes me. Especially for a company with so many products and so much success. They’re American, family-owned, and they’re concerned with what’s right more than what’s profitable—so says their mission statement. They also care about customers and feedback, which I can vouch for. When I emailed questions, I always got a quick reply from Audrey, with a tone that implied a friendly smile. You should know about one potential frustration though: Lems doesn’t provide free return shipping. It took me two tries to get my shoe size right. So expect to spend an extra $12 or so (unless you’re a better guesser than me) as their awesome customer service gets you into the right size. 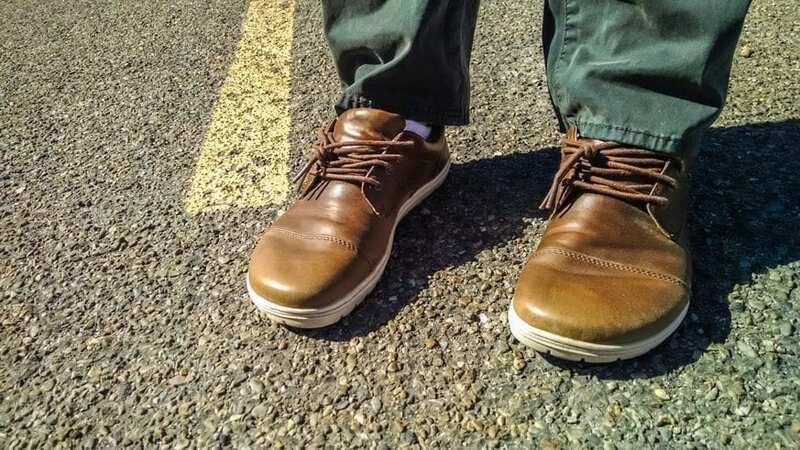 A Cherokee proverb has become a common American saying: “Don’t judge a man till you have walked a mile in his shoes.” Well, I’ve walked a mile a day in these Lems for the last seven weeks, and I’ve gotten a pretty good feel for judging them. Not only walking, I’ve run sprints and played a little frisbee (which includes lateral movements), and, even unlaced, they’ve performed well. I’ve been rough on mine, and they’re holding up, but I don’t expect them to have the same tenacity as something more traditional—that’s the tradeoff for the lightness. Totally worth it, if you ask me. The soles are thin. Real thin. I took the insoles out of mine to add more width for my wide feet, and that made the bottoms even thinner. So thin that when strolling through the neighborhood, I gravitated toward walking in people’s yards. 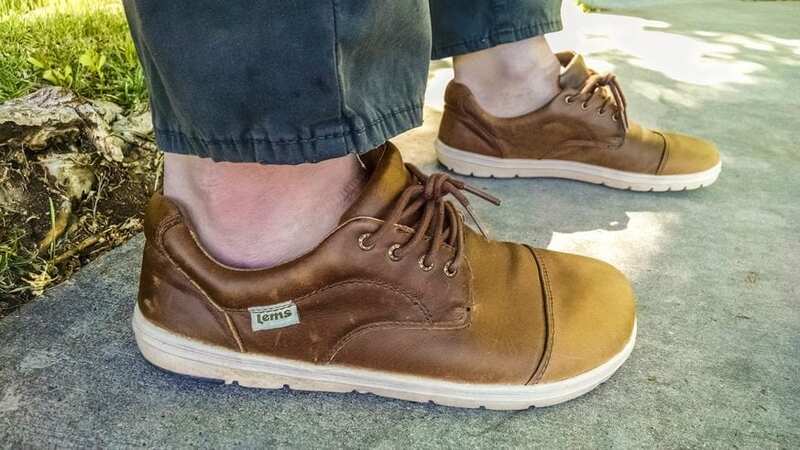 If you’re planning some extensive walking on concrete, these probably aren’t the shoes you’re looking for. (In their defense, it’s not the shoes that are unnatural, but the walking on concrete.) Concrete also happens to be where bone micro-fractures are most likely to happen, something you’ll hear about from the naysayers, and something to be wary of. Just make sure to do your research. Overall, I love the thinness. 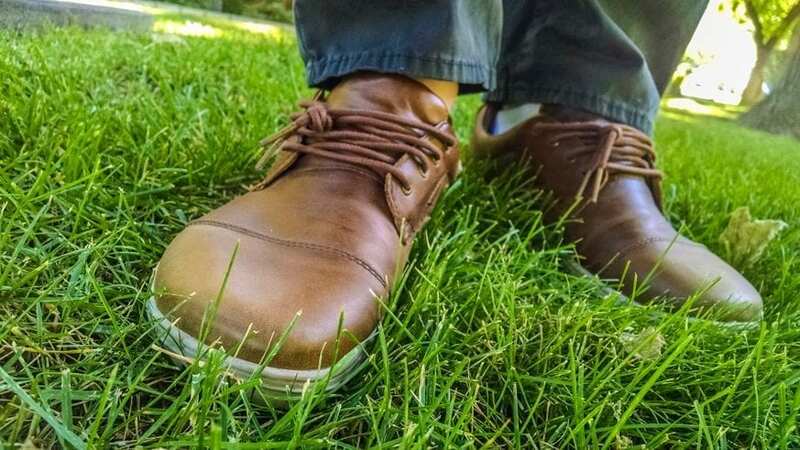 This factor will shift your walking style, more forward off the heels, as if you were barefoot. I consider this a good thing. 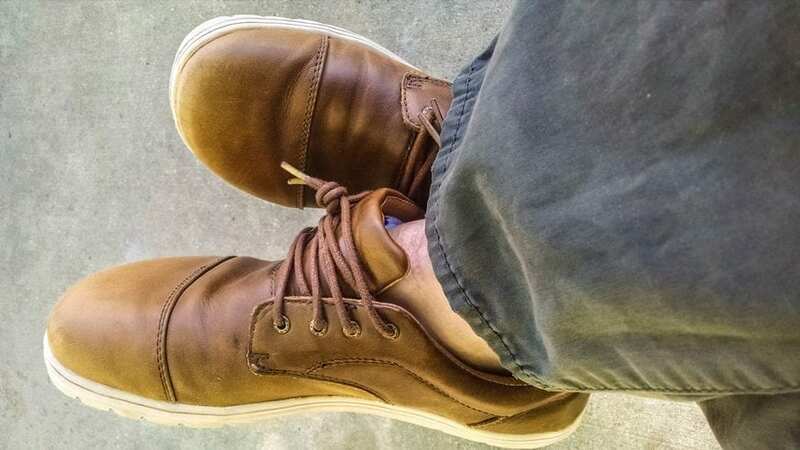 These shoes are also extremely lightweight—literally more lightweight than my flip flops. This airiness makes them particularly comfortable. I don’t find myself slipping them off every chance I get like I do with other shoes. 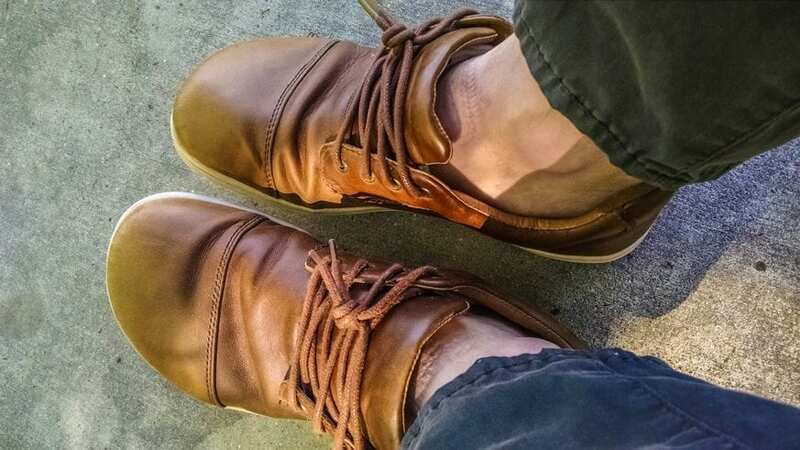 (Unless I’ve worn them in the sun on a hot day, of course, as they don’t exactly breathe like a sneaker.) They’re also great as a spare shoe when traveling because they hardly weigh down your bag. They also conform to your foot, so when you bend your toes, the toe of the shoe bends too. This isn’t a great venue for a treatise on zero-drop shoes. But the short of it is that they let your feet be what they evolved to be, which helps balance your spine. I’ll also add that a few of my favorite internet celebs are in to the barefoot / zero-drop shoes, people Tim Ferriss, Kelly Starrett, and Sergey Brin. And I’m pretty sure God is a barefooter. The Nine2Fives are a good fit for summer barbeques, firework shows, and lounging in the shade. I’ve also been wearing them to work, and because they’re leather they give off a professional, classy vibe. I got the Coffee&cream variation—brown leather, cream sole. If you want to take the formality up a notch, there’s another version with brown leather and black soles, and another with black on black. 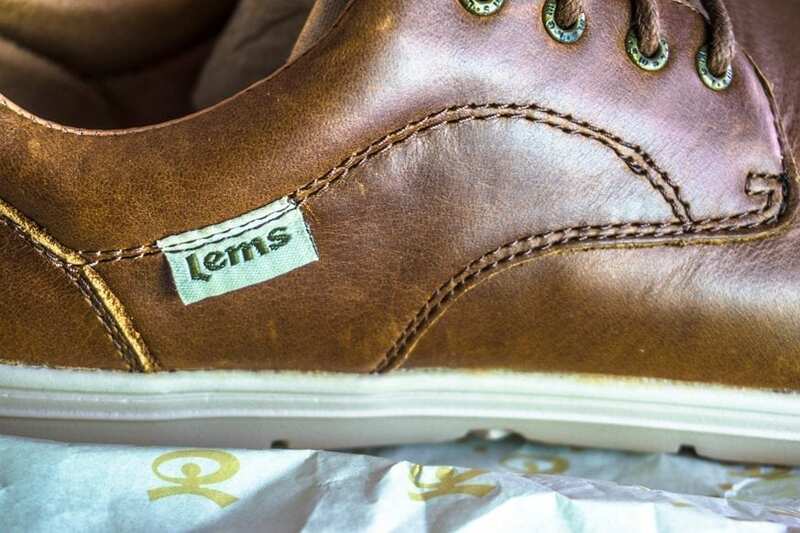 Also, my buddy Victor reviewed the Lems Mariners, so check those out if you’re looking for a completely different flavor. I love the shape of these shoes. 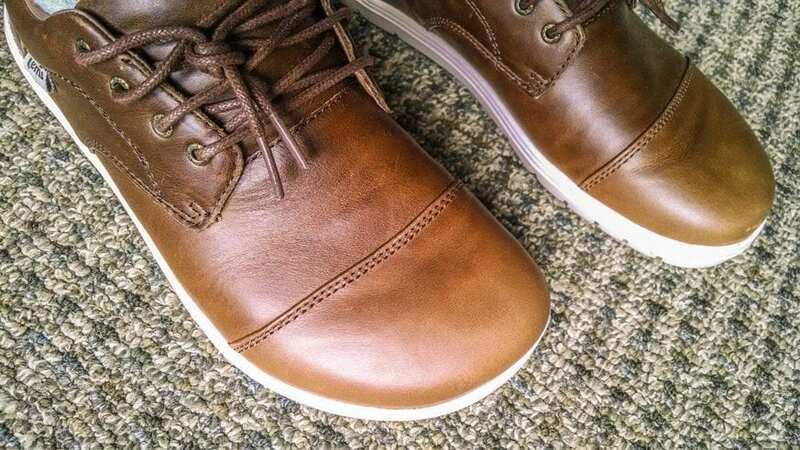 The wider toe box feels really good—spacious and natural. But I think it looks good too. It gives them a more masculine feel, almost like the nose of a 1-ton truck. Or like the shape of Spider-Man’s foot in the old comic books—which means it’s the shape of an actual human foot rather than of a shoe. To me, this is awesome, but I’ll leave the final aesthetic judgement up to you. I love these shoes. They’re lightweight, comfortable, and classy. Having mentioned a few things you should be aware of, I’m ready to fully endorse these babies. 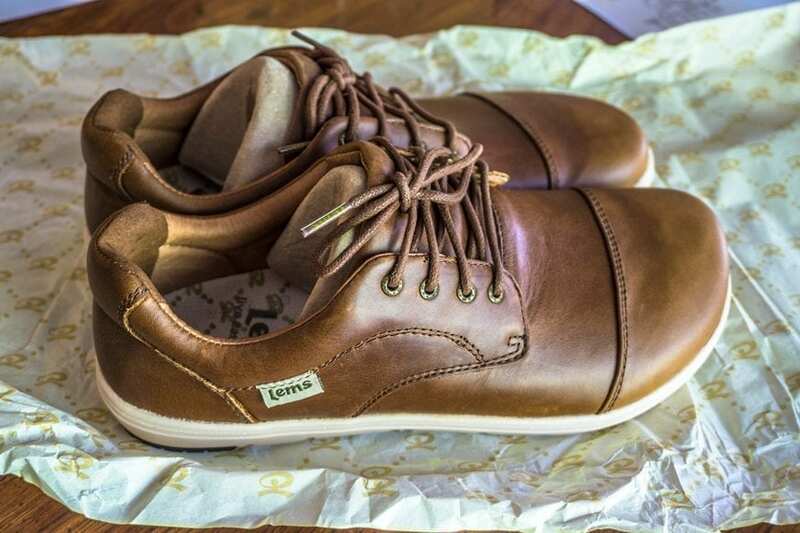 If you’re looking for a stylish zero-drop shoe, you have to try out the Lems Nine2Five Coffee&creams.